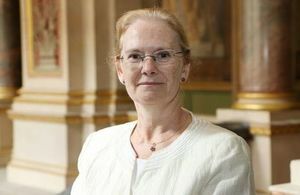 The British Ambassador to Switzerland and Liechtenstein, Jane Owen, sends a message to UK nationals in the two countries regarding the UK's departure from the EU. We are grateful to the Swiss Government for successful conclusion of five bilateral “continuity agreements”. These are ready to come into force when the UK leaves the EU, i.e. at the end of the implementation period after the Withdrawal Agreement has been approved, or on exit day in the very unlikely scenario that the UK were to leave without a deal in place. Most importantly for you, our Citizens’ Rights agreement with Switzerland will protect the rights of UK and Swiss nationals who have chosen to call each other’s countries home. This agreement will ensure you can continue to live your lives much as you do at present.